Our impressive fleet of over 70 vehicles can offer Same Day, Next Day or Economy services throughout the UK and Europe. We are also able to provide specialist services including Carrying Dangerous or Hazardous goods and Moffett truck mounted forklifts. Our emphasis has always been driven towards driver comfort, safety and reliability. which is why we always strive to update our Fleet regularly and move with new technology. With that in mind, we roll a three year cycle on each Truck to replace and update to keep up with the ever evolving technology. We have R&M European Maintenance on all of our Fleet. All equipped with TOM Tracking giving us access to Telematics, driver mapping and driver hours. Tri Axle tractor units with mid lift Axle Plated at 44 Tonne. 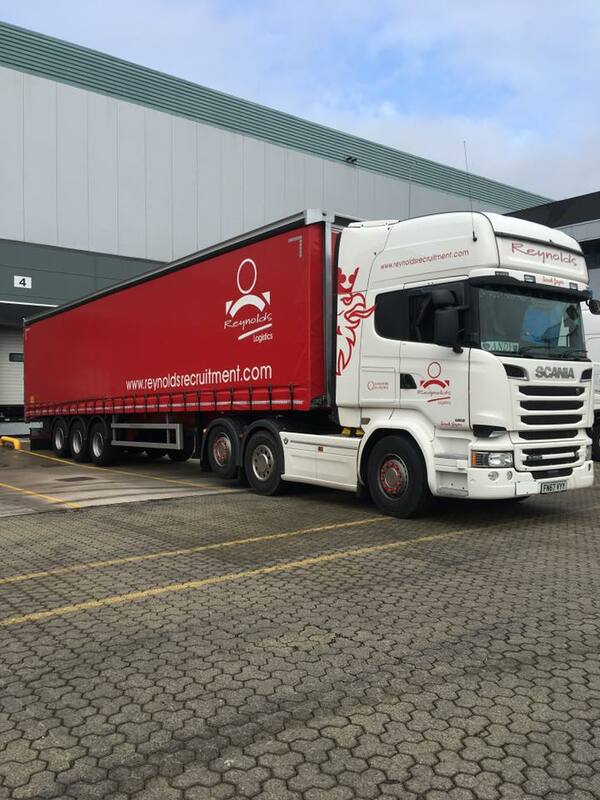 All our vehicles are liveried with the Reynolds logo and uniformed drivers with full PPE including First Aid kits, Hard hats, Driver handbook etc. All Driver CPC provided in-house and Emergency First Aid, First on Scene training. The next generation of truck manufacturing. The not only boast world class leading technology but are supreme in terms of fuel efficiency and driver comfort. Complete with satellite navigation and adaptive cruise control. The addition of a side scan to protect vulnerable road users and the roll guard feature. 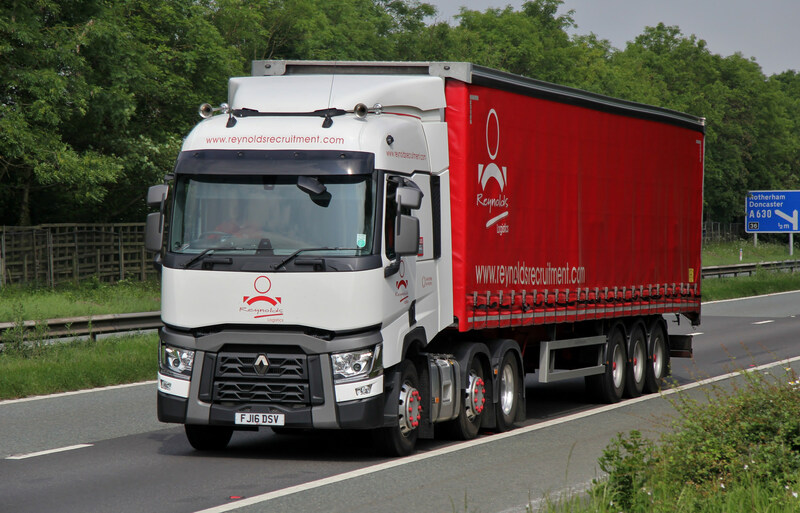 We had one of the very first of these in the UK and Renault now informs us that we are the largest haulier for this range in the UK.